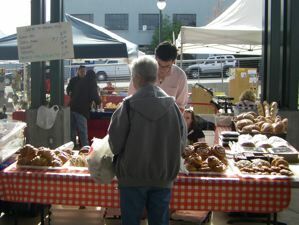 We mainly go to Good To Go for their sandwiches, cashews and Mount Townsend creamery cheese, but they are also still baking. We just can't afford to indulge very often. Besides, we are often there too late in the day and the pastry case is nearly empty. 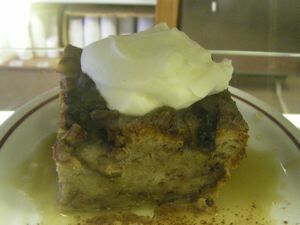 Despite this, we did manage to snap a couple of shots of their breading pudding and some gooey pull aparts. 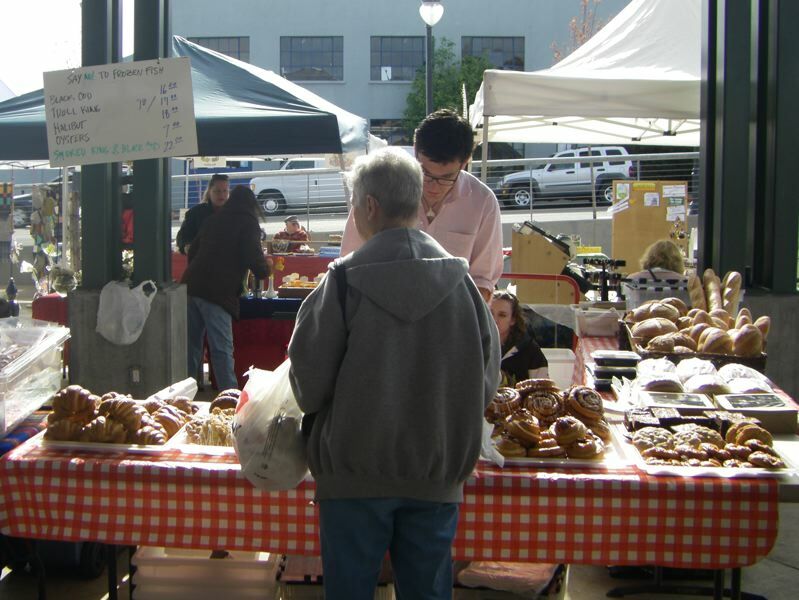 We haven't been writing very much about the Port Angeles Farmers' Market lately. This has not been because we haven't been shopping there, but because we've been lazy. 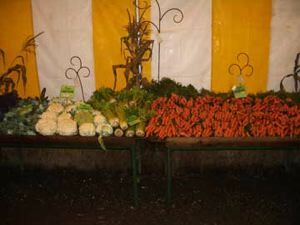 The slow start to the season didn't help, but now the summer vegetables are coming in thick and fast. The Korean Garlic Lady is selling her wonderful, almost overpowering garlic, along with her excellent scallions. 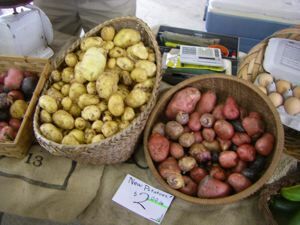 Lazy J and Johnston Farms have their great potatoes. Everybody seems to be selling cauliflower, and it's about time. 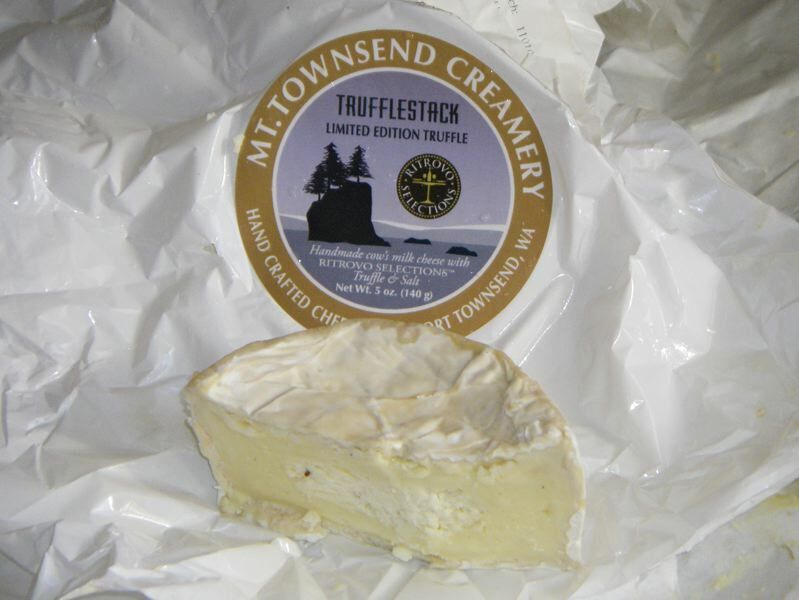 We should also note that Mount Townsend Creamery is selling Trailhead again. They aren't getting their milk from Dungeness Valley Creamery anymore, but the cheese is almost as good as ever. 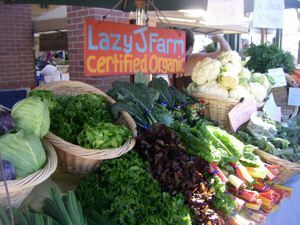 Lazy J always puts on a great display. 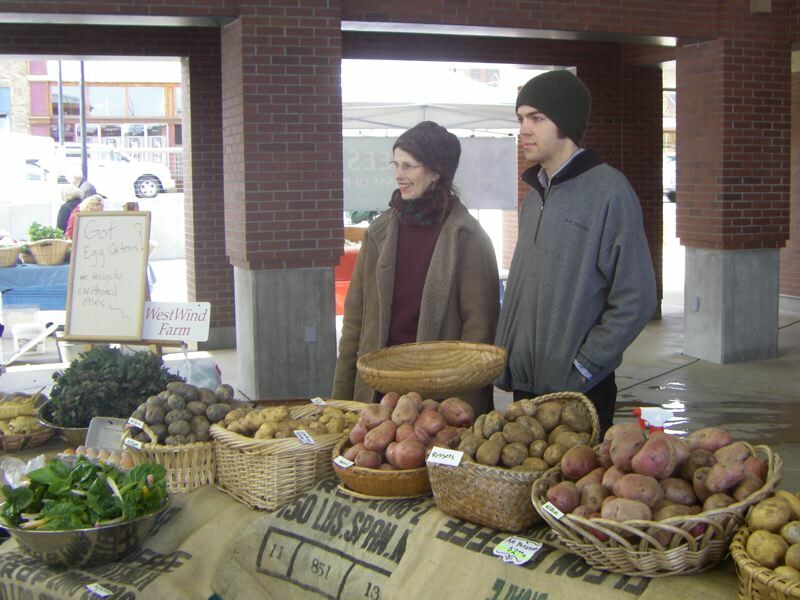 When the icy winter winds howl through the Port Angeles Farmers' Market at the Gateway Center, it seems as if a mere handful of survivors huddle in its vasty space. 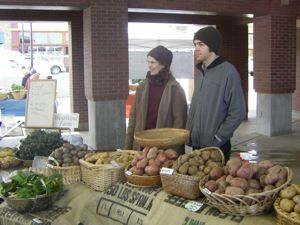 Now that the Gateway is beset more with icy spring winds, that huddle of survivors has grown to a goodly number of farmers and other vendors, and the vasty space is filling up nicely. One of this week's arrivals was Mount Townsend Creamery. They're based in Port Townsend, and they've been selling some pretty good cheeses for a few years now. One of our favorites, their Trailhead cheese, seems to have vanished, but they've replaced it with a new cheese, Red Alder, and from our sample, it seems to be just as good. Another new cheese, their washed rind tomme, also seems to be a Trailhead descendant. They are both farmhouse cheeses, great for melting on toast. 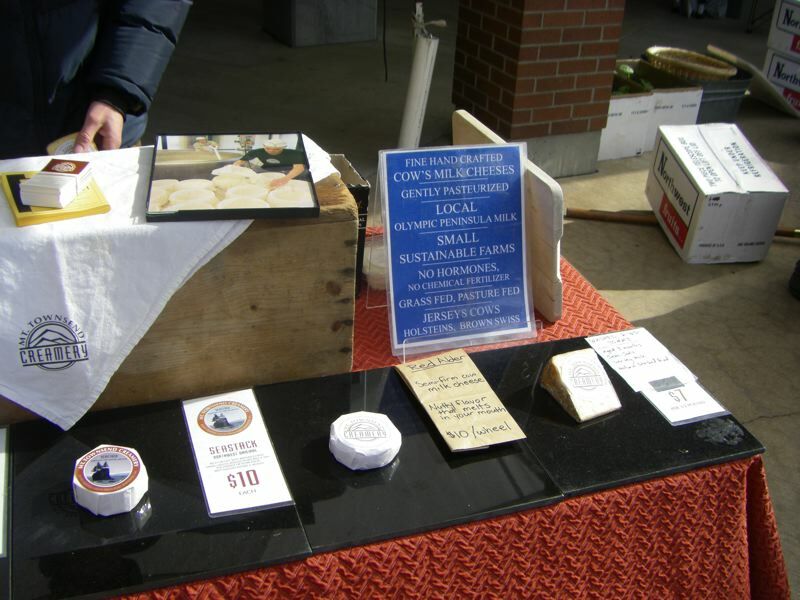 They're also selling their Seastack and Cirrus cheeses, which are soft, rather than farmhouse in style, and, for a real treat, they have their delicate fromage blanc. 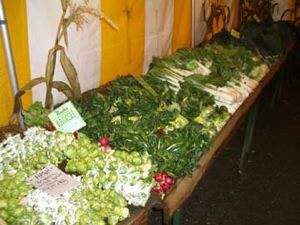 Other notes: There are more greens, everywhere. The garlic shoots made a great stir fry, and check out Johnston Farm for their garlic radish leaves. They were great sauteed. 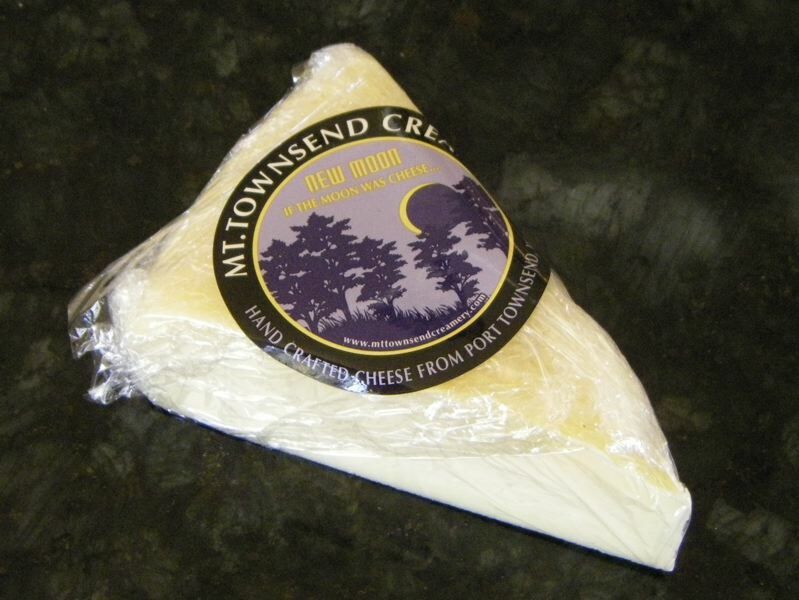 Mount Townsend Creamery will be at the market, and they are selling two new cheeses. 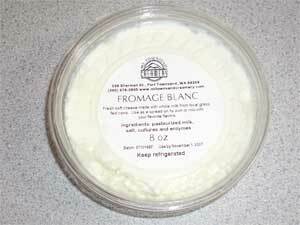 We should mention that Mount Townsend Creamery is selling an excellent fromage blanc. 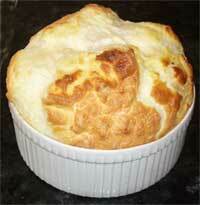 That's a light, fresh country cheese, made with the excellent milk from Dungeness Valley Creamery. Read our review, and learn more about the cheese makers and the dairy. 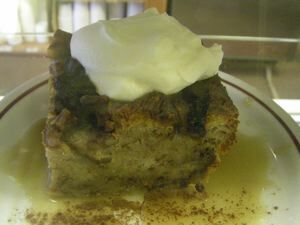 Things are going well on the farm and in the creamery and we thank everyone for their support! Fall is in full swing and that means two things for us. One, the fields are muddy and cows must come in...and two, the Holidays will be here before we know it. Thanksgiving is next week! Can you believe it? Although we will be closed Thanksgiving Day, we hope that you bring your family and friends out to the farm and visit our creamery beforehand (or after). Come pet the new babies and visit the mamas who provide you with the freshest and creamiest raw milk. 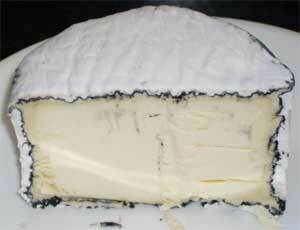 Along with the whole raw milk you'll find nummy cheeses made by Mount Townsend Creamery from our "girls'" milk. These cheeses are sure to delight the palette of your Thanksgiving meal guests. Special ingredients make the feast special. 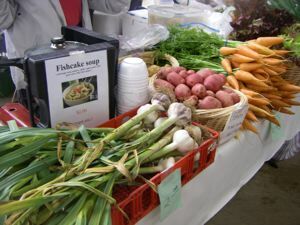 Be sure to pick up local foods including the raw milk (with cream on the top), eggs, and freshly baked breads and dinner rolls. 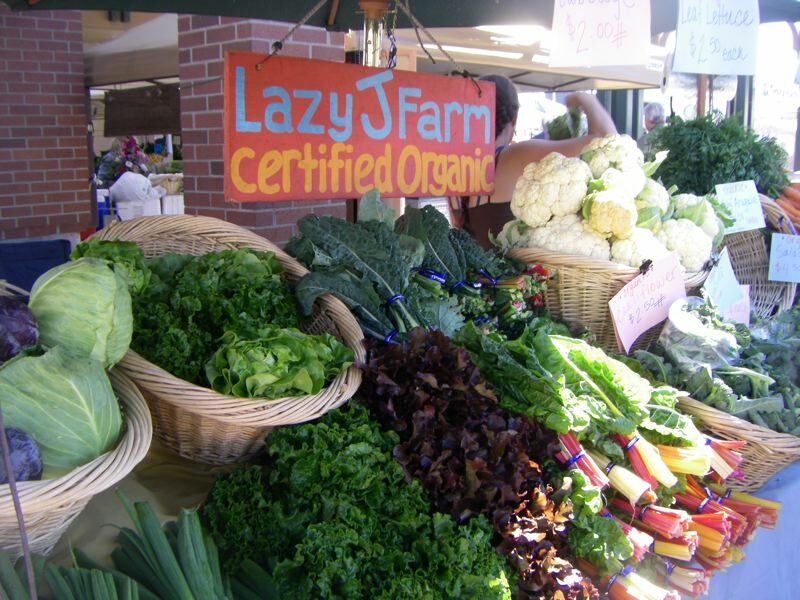 Remember, Nash's organic produce store is just down the road from us for your Holiday veggie needs. 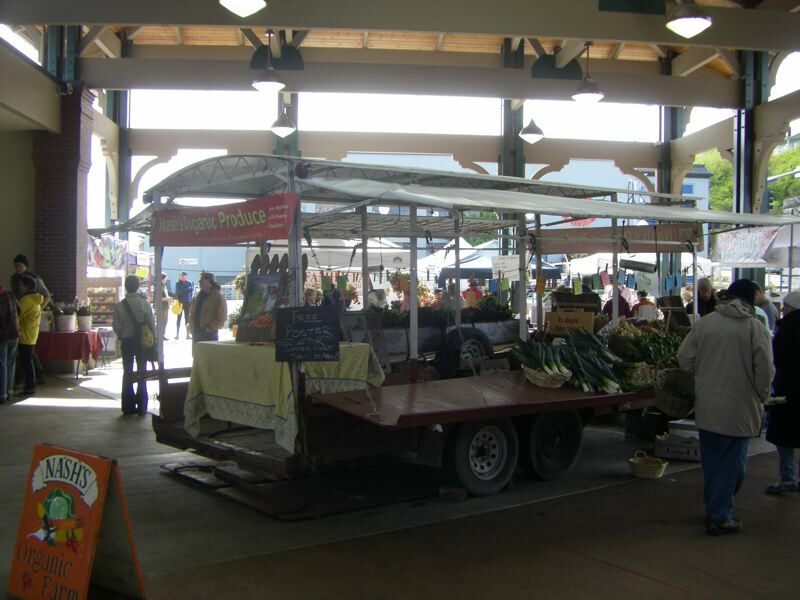 Our Creamery store also offers other locally made gift items. 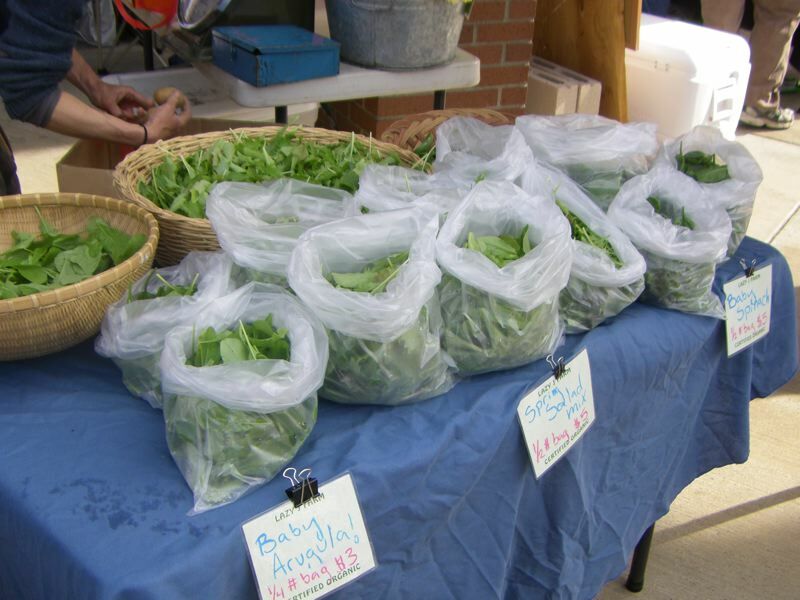 You'll find cards, scarves, lavender products, herbal salves, photographs, artwork(BarnArt) and more. For our first Christmas, we will be featuring handmade "KeyAngel" ornaments made by my sister, Kim Bergstrom! All proceeds from the "Key Angels" will go to benefit Children's Hospital. At birth, the Children's Hospital performed emergency surgury and saved her life! She was a patient at Children's for the first six months of her life and wants to support a cause that means so much to her! Next Holiday season we would love to offer fresh raw jersey cream and that is one of our goals. Another goal is to start making an aged cheese. For this to be possible we must have more help! We need four night milkings covered and one or more morning milkings. Calf feeders are needed as well. We just cannot add on any more projects until this happens. If you or anyone you know is interested please contact us. One addition to our farm that has helped a lot is our new manure separator! This may sound strange to most of you but this is a huge relief to us as my dad usually spends most of the winter making the separator work. Well, our new one actually works...by itself! That means more time for our new creamery and also more manure solids for your gardens. 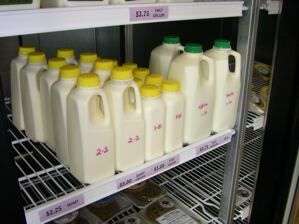 On a side note, a few new stores are carrying our raw jersey milk! 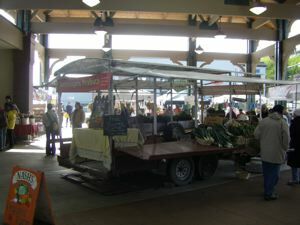 They are The Olympia Food Co-ops east and west, Nash's (Sequim/Dungeness) and The Gifting Place (Port Angeles). 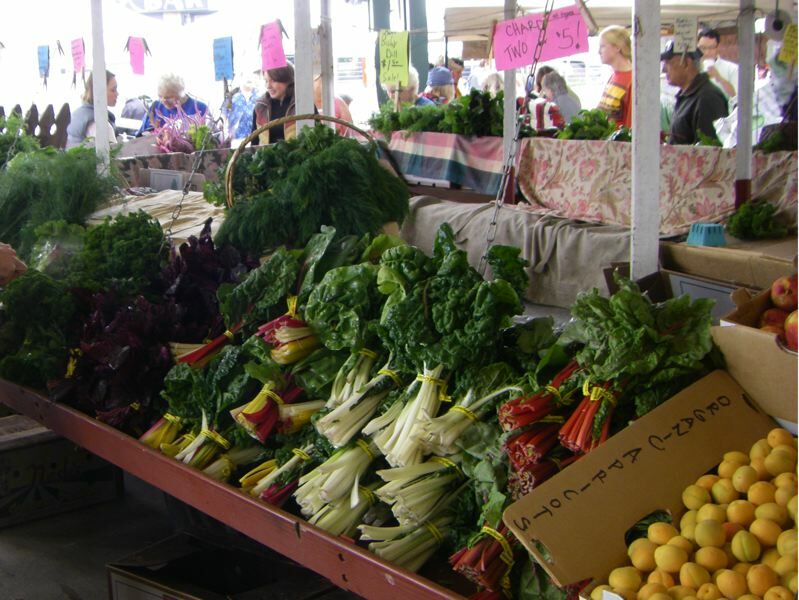 We also have new drop points in Bremerton (Evergreen Market in Bremerton went out of business), Mercer Island, Poulsbo, and Quilcene. Please feel free to contact us with questions about any of these locations or possible new drop points! 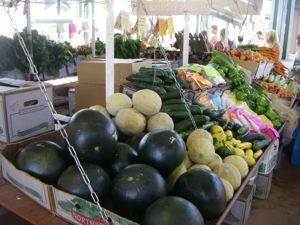 Thanks again for supporting local farms and farmers! 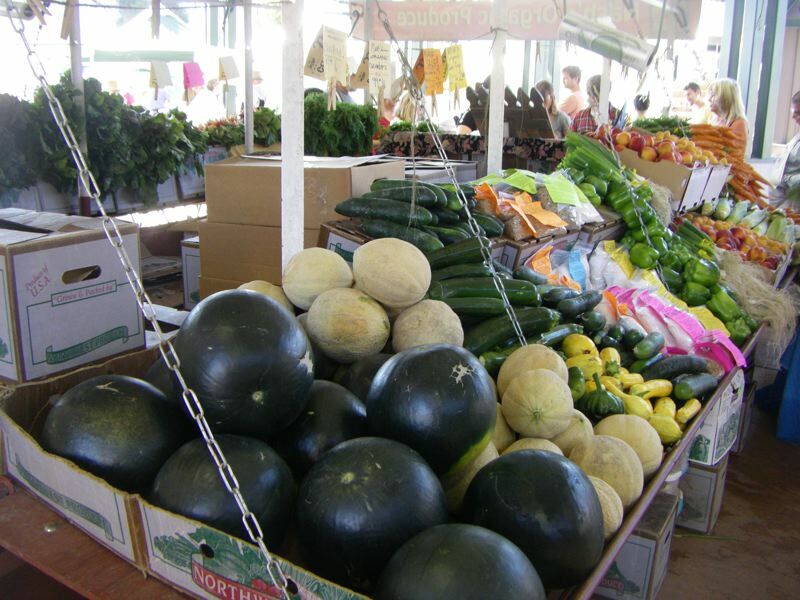 A community that depends on and supports one another is a healthy community! We recently paid a visit to Nash Huber's farm stand in Sequim, not far from the old Dungeness School House. 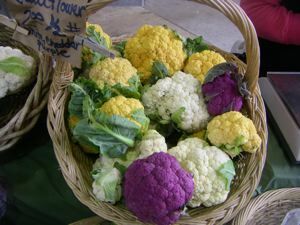 Farm stands are always at their prettiest in the autumn, which is, for us, the time to round up the usual vegetables. 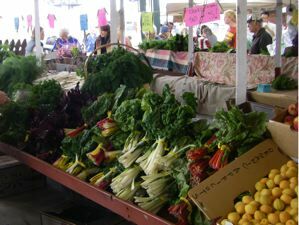 That is, the brussels sprouts are in, as are the lacinato kale, the collard greens, the mustard greens, the beets, the cauliflower and even the cabbages. There are some pictures of some of the goodies and one of all our loot down below. 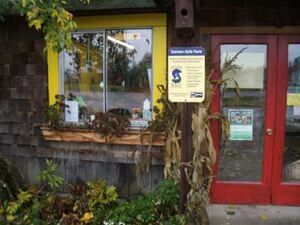 Also noted was the new sign on the door announcing that Nash's farm is salmon friendly. That's a big thing out here since Clallam County is sort of fish crazy. There are signs with little fish on them along the road side, usually at bridges. They mean that someone is likely to brake hard, leap out of their car and throw in a line to try their luck, so you had better drive carefully. Salmon channels are important out here too, and not just the kind they carry on cable. The county recently rebuilt route 112 where it crosses Salt Creek to give the fish a better shot at spawning. 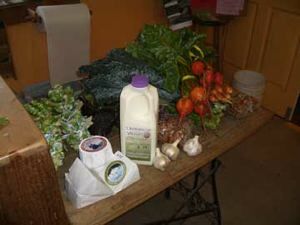 ncluding some Dungeness Valley Creamery milk and some Mount Townsend Creamery cheeses. Another sign on the door - we have to check this out. 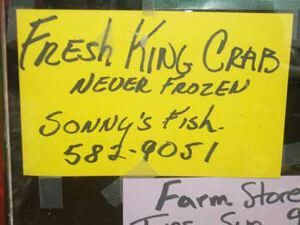 There is nothing quite like FRESH King Crab meat. We finally tasted the third cheese in Mount Townsend Creamery's trio, and we were quite impressed. Seastack is right up there with the great triple cremes like San Andre and Explorateur. We'll have to see how it ages. Unfortunately, the scientific Kaleberg testing procedures resulted in the complete ingestion of the cheese, so we'll have to drop by Dungeness Valley Creamery and get another one or two. 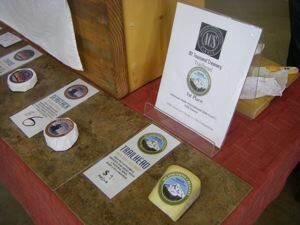 Read the Kaleberg review, and learn more about Mount Townsend Creamery and their local raw Jersey milk cheeses.